After a thrilling season, the OSCAAR Pro Sprints are primed and ready to cap everything off at Peterborough Speedway this weekend. 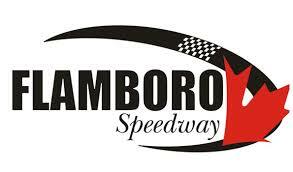 This weekend, the OSCAAR modifieds will take to Peterborough Speedway for their final race of the 2018 campaign. The event provides the perfect opportunity for someone to cement themselves in racing history, while a new champion is crowned. After a couple weeks off to catch their breath, the OSCAAR Modified teams are excited for the final stretch of races to cap off the 2018 season. knowing the talent that will be in the field, it wouldn’t surprise anyone if the open-wheel stars put on the feature of the Velocity 250 weekend at Sunset Speedway. After a month-long break to catch their breath, the OSCAAR Hot Rods are set to get back into action this weekend, beginning with their first ever trip to Sauble Speedway.